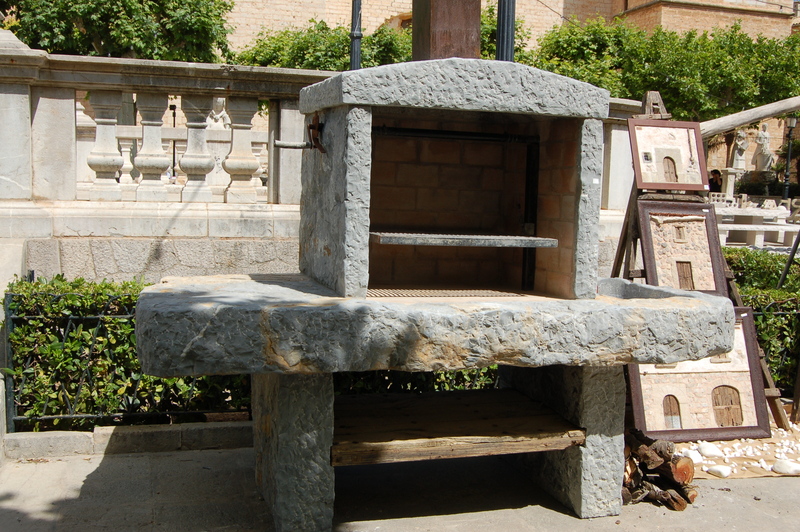 Things you can make from stone . 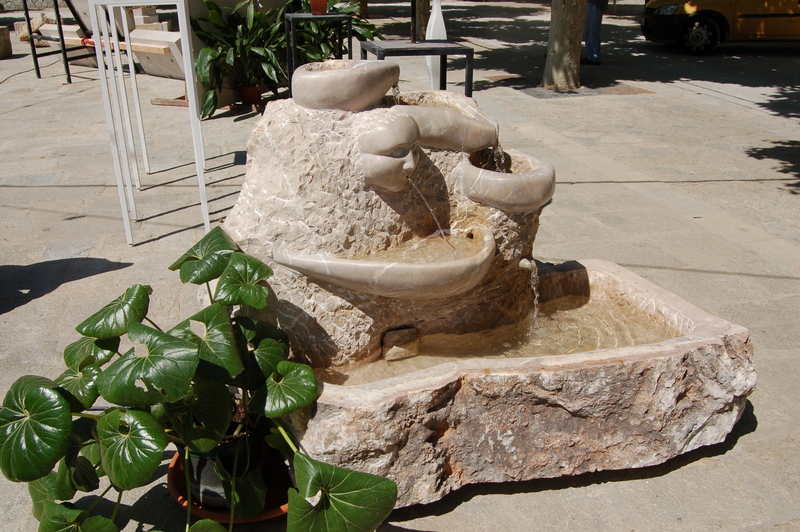 . .
Our garden in rural Mallorca is filled with rocks and stones. If we wanted to build a wall or stone garden feature, the raw materials are there, just waiting to be plucked (although that does make the task sound easier than it is) and used in a creative way. We even know of someone who bought some land and built a whole house from the stones on the property! Stone buildings and walls are found all over rural Mallorca and are evidence of the artisan skills of those who take this raw material and turn it into functional and beautiful things. 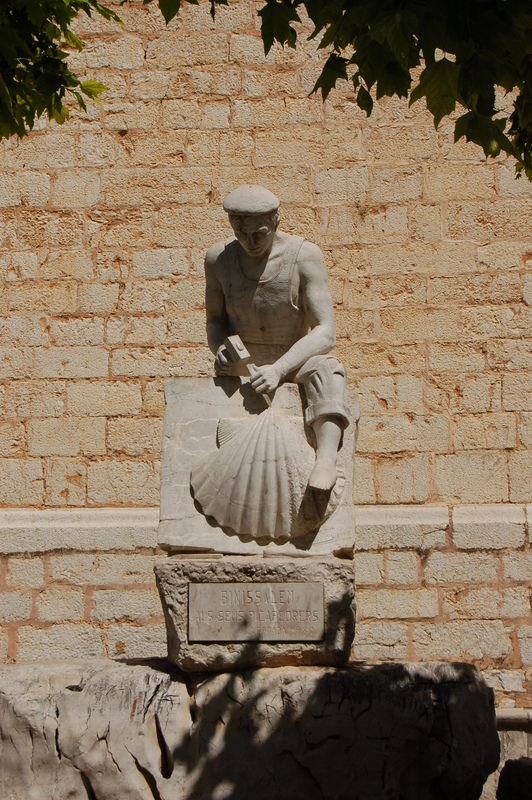 But it’s not just buildings and walls that are created from the various types of stone that are found on the island: the town of Binissalem – at the heart of one of Mallorca’s two important DO wine production areas – is also an important centre for the craft of creating objects from stone. We visited Binissalem yesterday for the first day of this weekend’s Fira de la Pedra y l’Artesania – where we saw numerous examples of what can be done with the island’s natural material, when you know what you’re doing with a chisel – and probably a few other tools. When we attend local artisan fairs we quite often buy something small to take home, as we like to support the local economy and particularly those people who are keeping traditional skills alive. Sadly even the smaller items here were a bit too heavy to carry back to the car (on the outskirts of the town), but we came away with lots of business cards . . . and some photos. To inspire The Boss. Statue in front of the church in Binissalem. 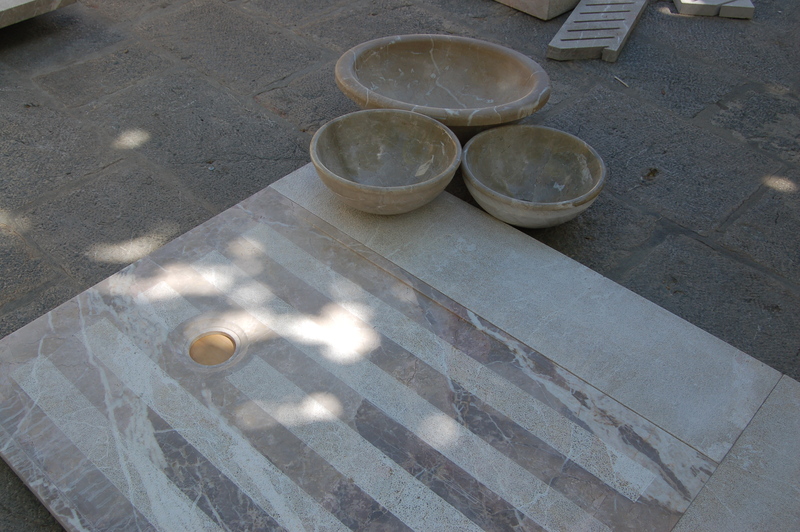 A water feature combining polished and unpolished stone. Washbasins and a shower tray with style!